Well, are y’all ready for some LSU Football?!?! 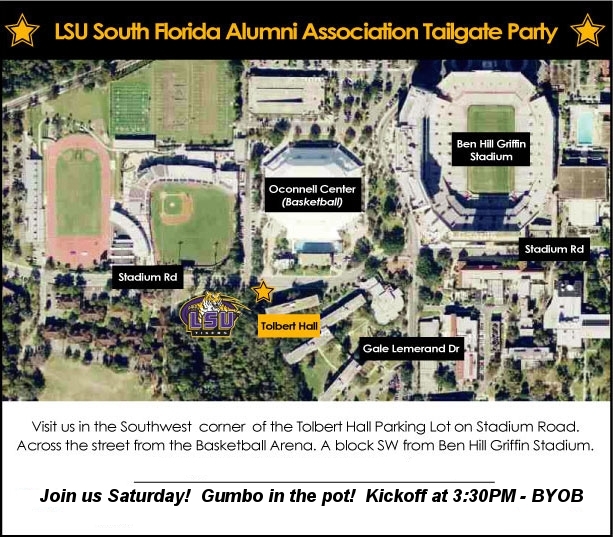 If you’re in Gainesville, join us for the tailgate! Click the map below for a larger map. 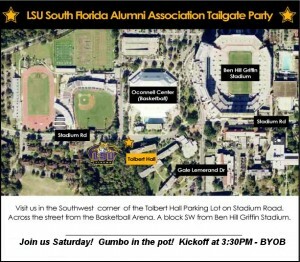 Please join us at any of these watch locations to cheer our Tigers to victory!! !